If you don’t ask, you’ll never know….. I never mind if the cashier at the grocery store is new…..I consider it on-the-job training and I’m sorta like the trainer. ‘Cause I’m ALL about my groceries getting to my house in the same shape they were in on the store shelves. In other words, DO NOT put the bread or potato chips in the bottom of the bag with the apples on top. Now Harold’s FIRST day had to be today….he was very slow, and deliberate, and slightly confused. He said he liked my tattoo, and told me how he was learning how to be a tattoo artist. That was fine ~ a little chit-chat is a good thing. However, I didn’t really need to know that his first self tattoo was when he was 14 and his mentor said he had to do another one because that one wasn’t legal. Huh? I may have zoned out for a moment when that particular diatribe happened. You see, Harold was a talker. And I like to talk as much as the next person. But the 3 natives behind me were getting a little restless, especially the woman holding the shopping basket in one hand and the gallon of milk in the other. Harold: Is that Yellow Rice Stuff any good? Me: Well, I like it. Harold: Yeah, I didn’t know if it was to eat or what. Thanks so much for reading what I write ~ and if you love it, read it to someone else, too. You can even take credit for thinking up that idea 🙂 And I LOVE a comment and will almost always answer back…you know, unless it’s crazy or something. And really, we’re all crazy so it’s all good. Cheers! Next Just in case you were wondering, the Smoky Look is in. Thanks for making me laugh! I needed it tonight! 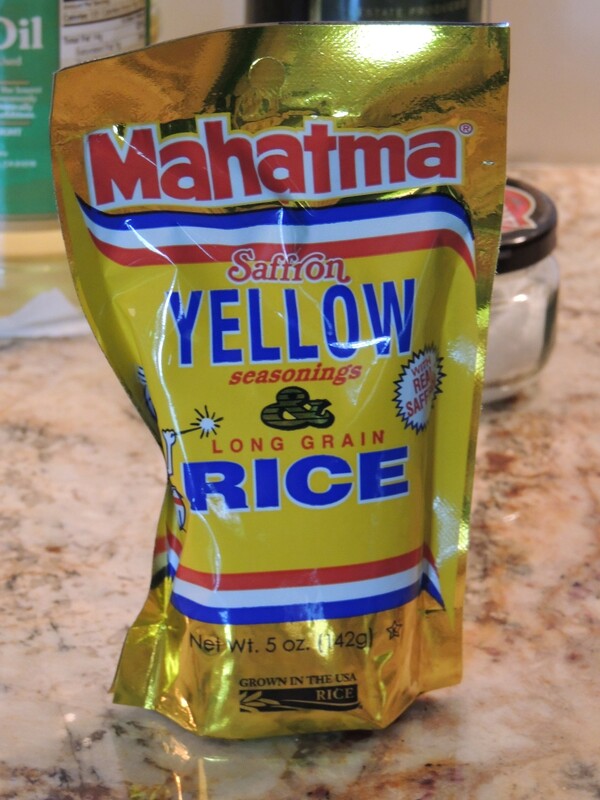 Or maybe I just needed yellow rice, who could say? His Mom or sister works at a grocery store here in Michigan. I bought 6 pk. of Mike’s hard Lemonade one time and she asked me if the tried all the other flavors, and then told me all the stuff she drank and all the flavors. etc. How does she ever get to work?? Cyn ~ YES!! Oh Lawd, I’m thinking..PLEASE let’s do this another day, and I’ll take you up and down the aisles and tell you what these foods taste like and how to cook them….but when I’m checking out, please, PLEASE just ring me up and let me go…BLESS them! Am I late to this party? Harold, yes you eat the stuff that comes off of these shelves! What the what? Janie ~ I KNOW! Hellllloooooo…. oh…that generation is full of young people like that… and no matter how hard I work with them in the 1st grade.. they are still turning out this way!! Robin ~ Ha! Yes, you do have a unique perspective on our future generations!! love ur stuff!!!!!!! U have my personality!!!!! Aloma ~ Thanks so much! And I really appreciate you hanging out with me! Jenni ~ Have MERCY you are so right! And yep….10 years from now, I’ll be channel flipping and see…Harold takes on food as decorations!! Dayum…. Bless his heart! Maybe he doesn’t have a SASHA or Gma to teach him matters of LIFE! Let us know if he is still employed the next time you are there! Vicki ~ Very True…I do like a little conversation but Harold was OVER the top!!! New Store,Newbie Cashier,,,At least he took the time to converse with you…Anymore you’re lucky if they even say Hello…Regardless if the speak or not..I Always say Have a Nice Day. Teresa ~ True…I’ve had some that barely looked up! I see a training opportunity in my new found role as Cashier Trainer – ha!! Nancy….I bet he has TWINS all over the place!! !